Amazon worked tirelessly last week and this weekend and has fixed the major glitches (missing emdashes, weird characters replacing quotation marks and italics, and missing apostrophes) in the quarterfinalists excerpts from the Amazon Breakthrough Novel Award (ABNA) Contest!!! My product description does not have my original paragraphing and the spacing is wrong in a spot or two, but other than that it is ready to be read. 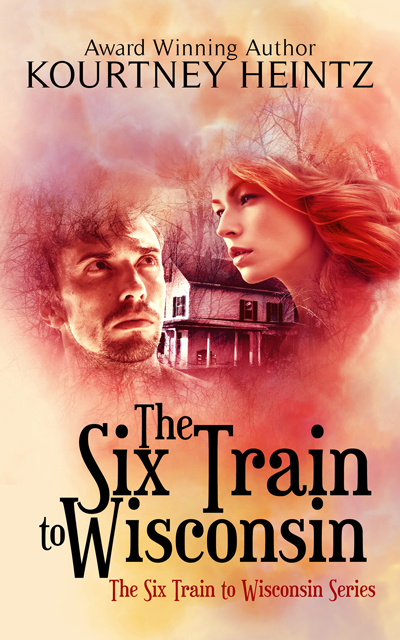 To read my ABNA excerpt from The Six Train to Wisconsin, you click on the link and it will take you to my Amazon page. You have to download the excerpt to your Kindle. It says you click to buy it, but it’s $0.00 dollars. Then you can read it on your Kindle. The product description on the Amazon page is my original pitch that got me through the first round of the contest. It’s the one I worked on at the Backspace Agent-Author Seminar in November and used at the WDC Pitch Slam in January. This is the first time my writing is in a public forum. I’ve bitten my nails to nubs. Nerve-wracking and exciting. I never ever thought I would reach this point when I entered back in January. I’d really love to hear your thoughts. If you have time, please stop over to check out my excerpt. You can rate it and leave reviews on my Amazon page too. There are 250 talented ABNA Quarterfinalists across many genres of adult fiction. I’m competing against 249 of them. 🙂 There is a separate contest for YA fiction with another 250 amazing ABNA Quarterfinalists too. You can read their excerpts by clicking on the link and selecting which genre you want to look at along the top of the page. If you don’t have a Kindle or a Kindle app, you can still check out my first five pages of The Six Train to Wisconsin on my website. 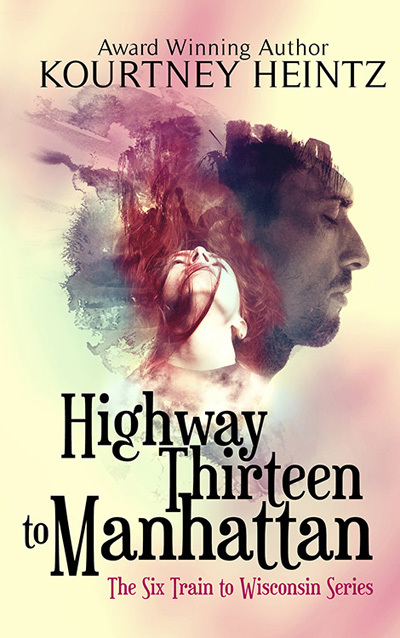 This entry was posted in Contest, Uncategorized, Writing and tagged Amazon breakthrough Novel Award Contest, excerpt of The Six Train to Wisconsin, feedback, pitch, Putting your writing out there, Quarterfinalist, writing competition. Bookmark the permalink. So exciting! I don’t have a kindle but I’m sure it’s fab, good luck! Awesome, Kourtney. I don’t have a Kindle, so unfortunately I can’t read it. Bummer. However, I did check out the product description. Your book sounds really interesting and I would want to read it just based on that! I wish you continued luck in the contest. THAT’S WHAT FRIENDS ARE FOR !!!!!!!!!!!! LOL. Thanks so much Catherine! You’re the best! YOU LIKE THE CHEERLEADER THINGY !!!!! LOL …..
LOL. Ooh I like red pom poms. And maybe white sweaters with a big red K int he middle? And maybe white sweaters with a big red K in the middle? THAT WAS THE OUTFIT FOR SURE ……….. EVEN IF WE THINK WE ARE ALONE – WE NEVER ARE ………. IT’S SO BASIC AND EASY TO SUPPORT ! CUZ THEY NEVER ARE …. ENOUGH FOR THE SOCIAL ACTIVISM 🙂 !!!!!!!!!!!! So cool! YEA for you! Loading it to my Kindle as we speak (type :)). Good luck, Kourtney! Hope you’re having a BLAST with the process. I will load it on my Kindle today! Everything worked for me except for not learning the main characters names within the first few pages. That helps ground me as a reader. Thanks Lisa! Glad you enjoyed the restriction I put on her telepathy. I wanted him to be able to have internal thoughts too. I’m thrilled to hear you’d keep reading. I’m glad you raised that point. It’s something I’ll definitely consider in my next round of revisions. 🙂 Thanks so much for reading my excerpt. Kourtney, I read your entry. Very nicely done. Interesting concept. Loved the ending piece. Set up very well. Great stuff! I love the idea, especially. I will download the excerpt tonight and read. Ooo… Exciting. I can’t seem to either, not usually anyway. But still wishing you the top spot in the final round! Aw JM, my aunt has the same problem. She has a Nook. I posted the first 5 pages on my website if you want to get a little taste of it. Wow! I just read the clip on your website and left a comment there. Folks who don’t have a Kindle should definitely stop by for the read. This is REALLY good! Aw thanks so much JM! It’s a huge departure from my first book. The characters really told me their story. I just tried to capture it. Hi Rebecca! Thanks so much for offering your support! Right now, the voting is in the PW judges hands. They pick the semifinalists (top 50). Then the penguin editors pick the top 3. If I make it there, Amazon voting will then determine the final winner. And I’m in the UK so it works here too!!!!! You have a universal following! I will read it Courtney, but am up the wall with my wip and other stuff. I’ve put you on the top of my pile and will get back to you! Wow! This is great Kourtney! Unfortunately I don’t have a Kindle, but I’m going to try and see if I can download it somehow. So excited for you and good luck. Let me know if Limebird can help you in anyway! Ok great. Well when you’re in the top 3 ( 😉 ) we’ll promote promote promote! Thanks! That would be awesome–for you to help promote me and for me to make it to the top 3. 🙂 Dream dream dream. You go girl. Big three here we come. Hi Kourtney, I’ve nominated you for the Versatile Blogger Award, hope you don’t mind – you’ve probably already got it! And I wish you all the best of luck for your comp! Happy blogging – and if you want to accept the award, please go to http://butimbeautiful.wordpress.com/2012/04/02/and-a-big-thank-you-to-nomadic-angel/ for the Rules, the picture and all that jazz. Wow! Congratulations, this is so exciting! 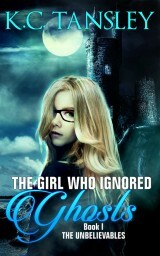 I’m going to download it this afternoon and give it a read and review. Good luck! I’m sure you’ll do great. Well, better late than never. I FINALLY got a chance to read your excerpt while I was away on vacation (I should do it more often except it meant I didn’t work on MY stuff for a week).I had to laugh when I read your comment about not being able to write without something paranormal. I don’t usually consider myself as enjoying that genre but my bottom line is that I love good writing in any genre, and it didn’t even occur to me until reading the blog comment that your story would fit in that category. I can’t wait to read more! LOL. Thanks so much for reading it! I have family who haven’t even gotten around to it yet. 😉 Audrey, my biggest stumbling block with this book is how to categorize it. Because it’s a quirky realistic love story about a married couple–it doesn’t fit the romance genre. It’s got a paranormal element throughout. But it’s also got a mystery and thriller subplot woven in later.I tried calling it commercial fiction, but agents said the paranormal makes it fantasy.